The 2016 Jetta’s new lines adapt VW’s clean family look to a new and sleeker body, and the MOMO Edition does little to alter them, instead sticking with color changes and aftermarket-style enhancements that don’t require massive body kits or radical restyling. 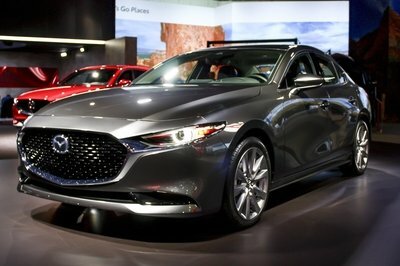 The black and chrome grille is brightened with a red pinstripe that matches the bright red paint, and black trim around the fog lights shows off the honeycomb grille pattern of the lower fascia. The 19-inch split-10 spoke “Revenge” wheels are MOMO exclusives and painted gray. 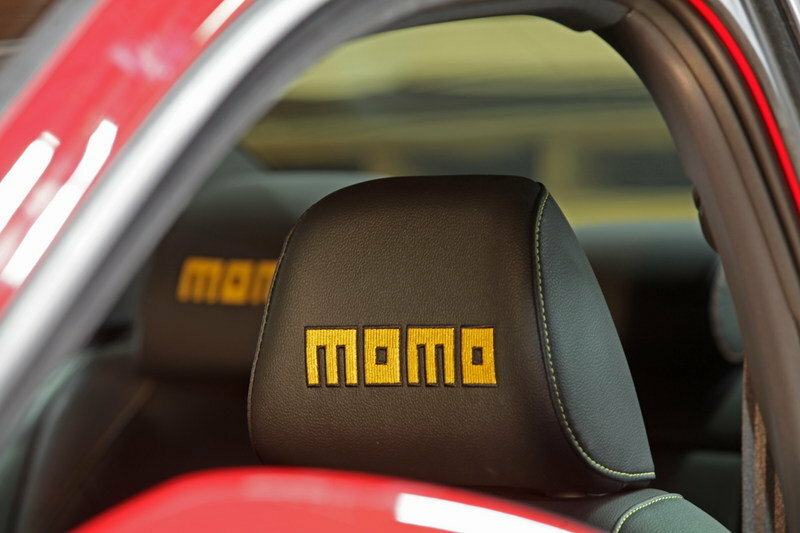 The sills are decorated with the names of the companies that supplied parts in a matching gray, a nod to the custom imports of the 1990s, and a yellow pinstripe adds a touch of sporty elegance as well as making sure that MOMO’s signature color scheme is included. The roof rails are a Volkswagen accessory item. The interior continues the yellow pinstripe, matching it with piping on the seats and dashboard. The trim line is red on the Jetta GLI, but MOMO has turned it yellow to match the limited-edition MOMO GT50 Anniversario steering wheel and custom seat upholstery. A vehicle information display in the driver’s side air vent has been added by P3 Cars, and gives engine details such as turbo boost, exhaust gas temperature and throttle position. It also provides track-day functions with acceleration timing and current speed. The Jetta GLI’s turbocharged 2.0 liter four-cylinder engine produces 210 horsepower in stock form. MOMO has improved that slightly with the addition of a cat-back exhaust system by Milltek Sport. The suspension has been tweaked by H&R with adjustable coilovers at all four corners and upgraded sway bars front and rear. Pirelli PZero tires wrap the big, lightweight wheels. Behind MOMO’s wheels a set of Brembo brakes with 14.4-inch cross-drilled rotors and monobloc four-piston calipers is visible up front; the rear features 12.2-inch rotors borrowed from the Golf R. The MOMO Edition Jetta GLI is a faithful representation of a car that a VW enthusiast might build – not too wild, but certainly not mild. The aftermarket for Volkswagens has long been a strong one, and that trend continues. Of course, VW’s not the only company with a strong aftermarket following these days. Scion has long courted the aftermarket and encouraged its owners to personalize their cars to their heart’s content. 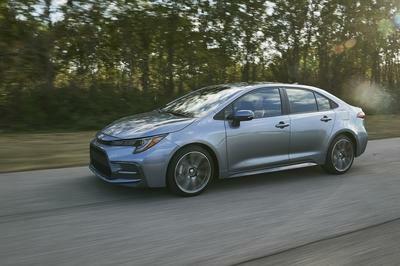 The tC is a surprisingly versatile two-door hatchback that seats four and has a massive following among customizers thanks to easily-improved handling and performance, and a dizzying array of upgrades from both Scion and a host of aftermarket companies. 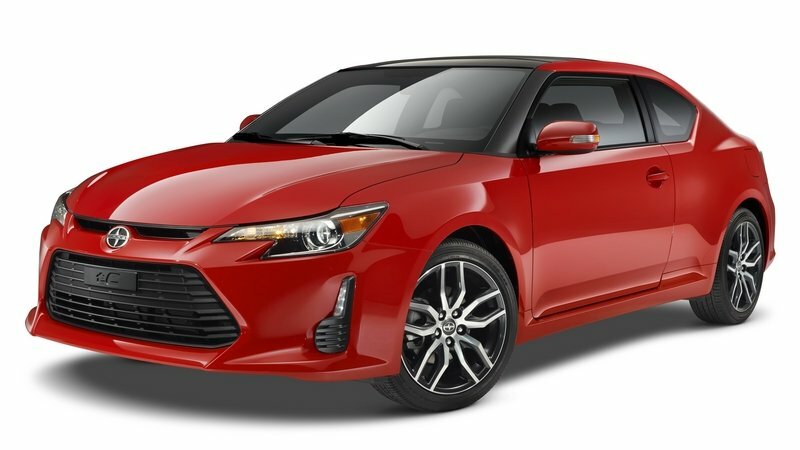 Read more about the Scion tC here. 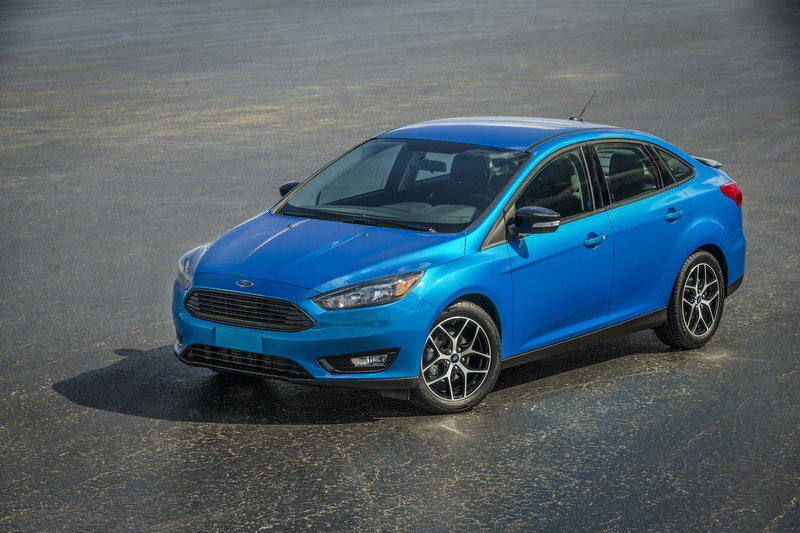 A new generation of modifiers is growing to love Ford’s compact Focus, thanks to its European handling dynamics and aggressive good looks. The Focus is the domestic answer to sporting daily-drivers like Volkswagen’s cars, and with the new high-performance Focus ST on the roads, the go-faster upgrades are beginning to proliferate as well. Read more about the Ford Focus here. Looking backward can be a risky proposition in the more-better-faster world of car modification, but MOMO’s just-kinda-retro Jetta GLI hits the right notes. It’s a subtle custom that’s well thought out, with real-world upgrades that an owner could easily replicate. As a figurehead for the company’s desired return to prominence, that’s just the right place to be. It doesn’t seem likely that Volkswagen has any plans to build the MOMO Edition Jetta GLI, but that’s not a problem – hit the right websites and you can just build your own. 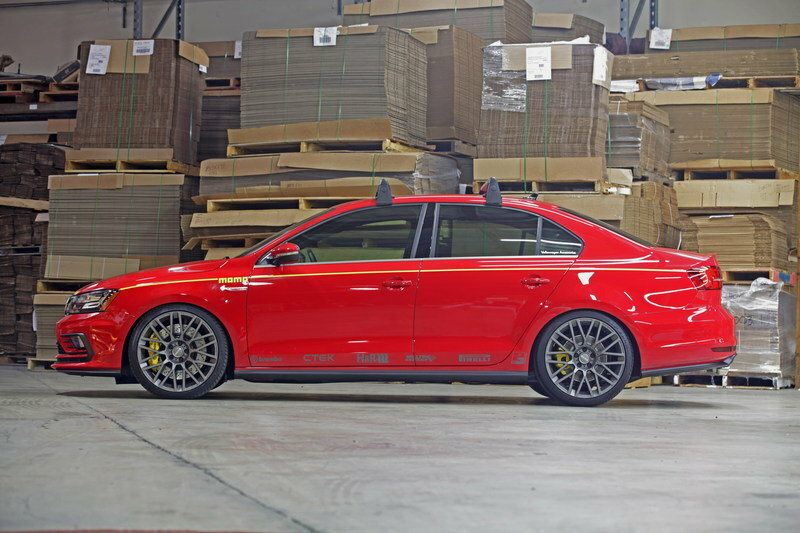 The MOMO Edition Jetta GLI debuts at SEMA this year. Might seem a bit understated for car nuts who weren’t around in the 1990s. The result is a vehicle that is best described as OEM-plus. It maintains all of the benefits of the turbocharged VW sedan, but gives it greater focus for the sports-oriented driver. It also boasts a dash of Italian style, with aggressive 19” MOMO light alloy road wheels, an attractive MOMO steering wheel and a vibrant interior treatment based on MOMO’s signature red and yellow color scheme. The 19 x 8.5” MOMO Revenge wheels represent the first “mesh” wheel design from MOMO in almost 30 years. It is a split-10 spoke wheel with a concave center and raised cap detail. 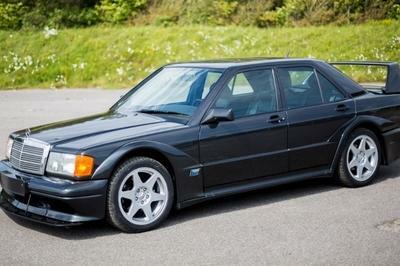 It is available in matte anthracite, as used here, and matte black. The new MOMO Revenge EVO wheel, which will offer the same sharp design but a brand new finish, will be released in 2016. 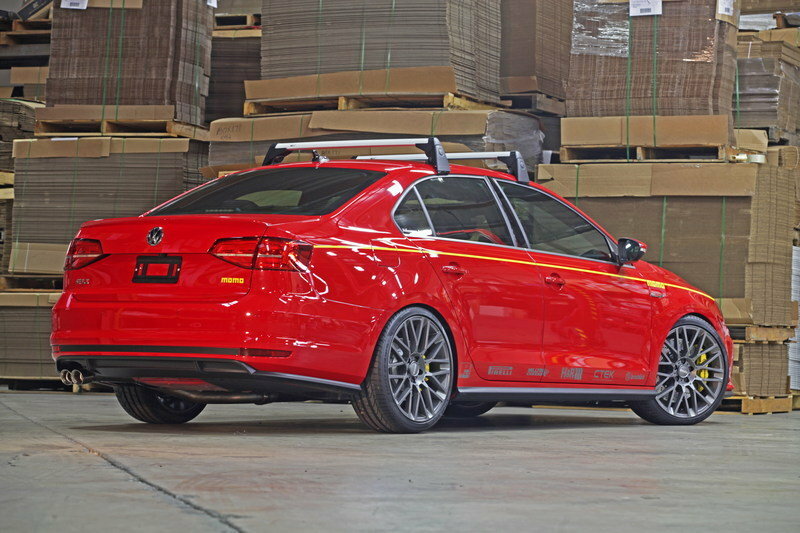 With an aggressive offset, the MOMO Revenge wheels fill the GLI fenders perfectly. The wheels are fitted with 235/35 ZR19 Pirelli P Zero high-performance tires. The low-profile sidewalls allow precise cornering turn-in and enable experienced drivers to enjoy the improved handling offered by H&R suspension upgrades. These include H&R Street Performance coilovers at each corner, as well as front and rear sway bars to reduce body roll. The coilovers allow the ride height to be tuned, give the GLI an optical advantage, as well as a supple ride. Another great Italian company, Brembo, provided the 14.4” diameter cross-drilled, two-piece front rotors and the monobloc four-piston calipers. These were supplied in yellow to maintain the overall color scheme, with the VW Golf R rear calipers painted to match. Using larger 12.2” Golf R rotors, this comprehensive braking upgrade endows the Jetta GLI with phenomenal stopping power and consistent performance. The powerful 210hp 2.0T four-cylinder engine benefits from improved breathing and a refined, sporty sound thanks to a stainless steel cat-back exhaust from Milltek Sport. 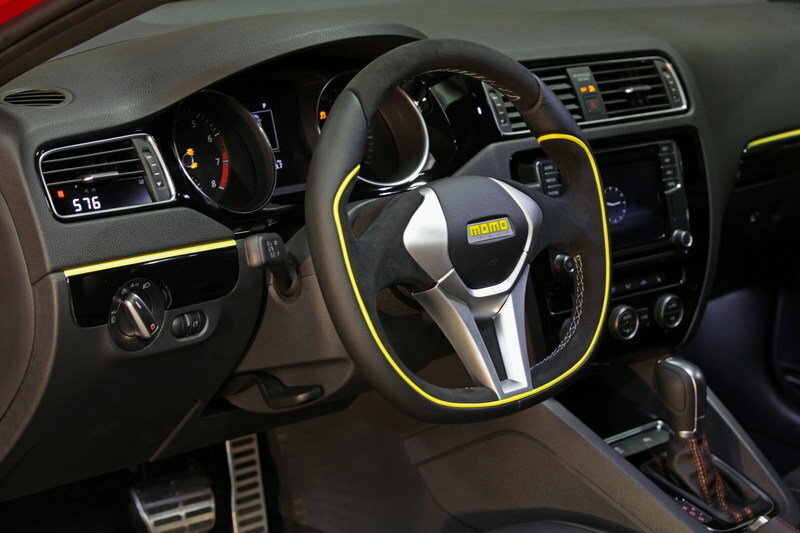 The 2016 VW GLI is incredibly well equipped and the interior benefits from a limited edition MOMO GT50 Anniversario steering wheel with yellow trim detail. Introduced to celebrate the recent anniversary, this stylish steering wheel is perfectly suited to the VW interior. 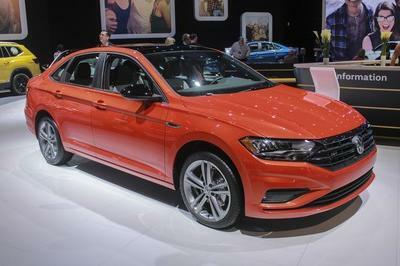 The yellow color scheme is continued by the trim stripe that flows around the Jetta’s door panels and dashboard. Originally red, this was painted to match the MOMO steering wheel. Similarly, some of the red stitching on all four seats, shift boot and e-brake boot was changed to yellow to repeat the yellow and red theme. 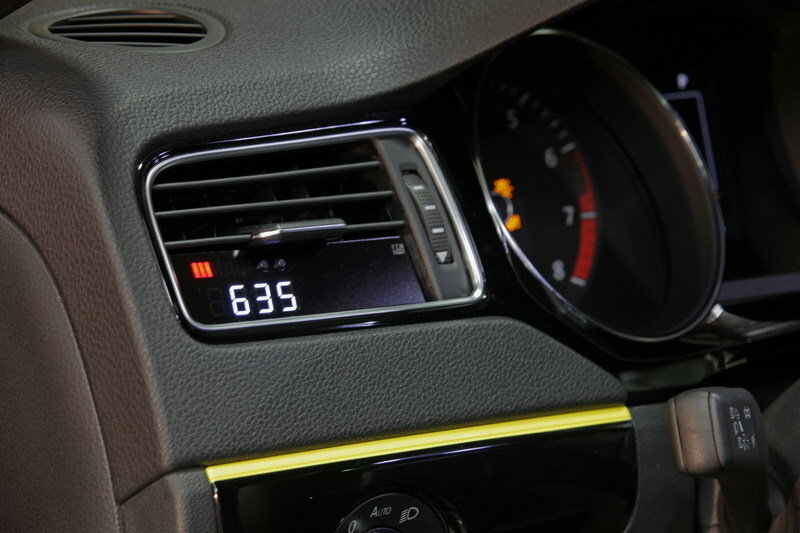 Sporty drivers will appreciate the addition of a vehicle information display in the driver’s side air vent. 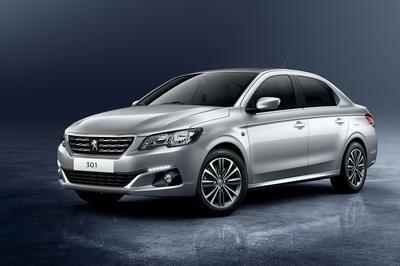 Produced by P3 Cars, the display is practically invisible when the ignition is off. While running, the display shows everything from turbo boost and exhaust gas temperature, to a 0-60mph timer, coolant temperature, throttle position, outside temperature, speed and more. It is designed to match the illumination of the VW, adding further to its integration. Other additions include a number of items from the Volkswagen Accessories range. The items include the roof rack, first aid kit, trunk liner, personalized floor mats, doorsill protectors, a cargo net, cargo grips and much more. Following the recent celebration of its 50-year anniversary, MOMO is making a renewed assault on the North American market. Its multi-pronged attack includes a successful motorsports program to aid product development. In fact, company principal, Henrique Cisneros recently finished second in the GTA class of the Pirelli World Challenge at the wheel of a Ferrari 458 Italia GT3. With more new products on the horizon, MOMO wanted to rekindle some of its past associations. The company was an original equipment supplier to many European carmakers, with its distinctive steering wheels and road wheels helping to establish the MOMO name firm in the hearts of many enthusiasts.